Apple’s AirPods were a major industry game-changer. They completely changed the way Bluetooth earphones could be used. By going for a completely compact design and offering a plethora of features, many companies took notice and copied the formula. Apple has quietly rolled out revised AirPods on their store, ahead of their 25 March show. The second generation Apple AirPods might look the same, but they offer completely new changes on the inside. Apple’s new H1 Chip has been specially curated for headphones. These allow for improved connection times, improved performance, increased talk time, and calling for Siri with the help of your voice instead of tapping the AirPods. Further enhancements of the H1 Chip allow for a richer audio experience and better sync. You can expect 50% more talk time as opposed to the first generation AirPods. In addition, it is now easier to switch between devices, whether you’re on your iPhone or iPad. Buyers can choose to buy the standard case or a new wireless charging case for charging on the go. 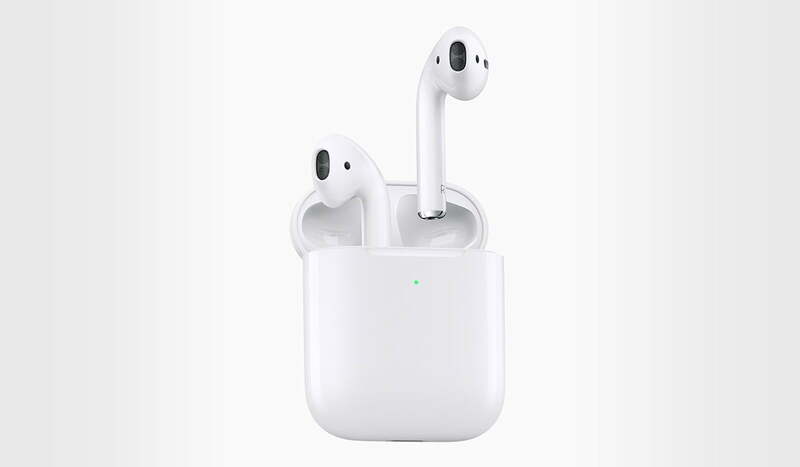 You can buy the new AirPods readily today on the Apple Store app and in Apple Stores starting next week. Apple has been pleasantly surprising us these past days. A couple of days ago, they quietly rolled out the new iPad Air and iPad Mini, yesterday revealed the new iMac, it’s only up to the imagination what they can unveil tomorrow and the days leading up to their March 25th show.